5 Star strength has highest amounts of CBD full spectrum with 1 Star strength having the lowest amount of CBD full spectrum per 1 oz bottle. 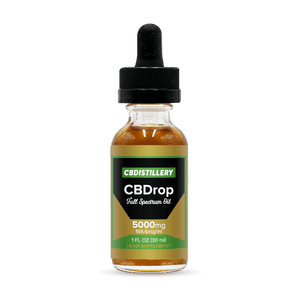 This is a conversion chart so you will know how much CBD you are receiving per 1 Full Dropper which is equal to 20 drops or 1ml and the cost of the strength per 6-pak, per bottle, full dropper, per 1ml and $ amount per full dropper (20 drops). Based on the product Full Spectrum CBD tincture. Using the Pareto 80/20 principle to determine the estimated outcome when a person who is motivated in offering both the CBD hemp products and Gratuite Lavie Marketing Opportunity using GLTBs. GLTBs are the proprietary devices used to create curiosity by placing a small bag onto the front door of each living unit a salesperson whom is prospecting in his/her area. I am going to show how an individual can make a sizeable income on a yearly scale. Based on the 80/20 rule: Marketing using a number of 100 GLTBs each week, 5200 units per year is estimated at $95,000. This includes your income from getting other people involved and set up in there own business. The investment to start is $16,000 a year, and with only $4000 down payment to start. That is your skin in the game, and you will receive a right to market Gratuite Lavie CBD products and 400 GLTBs each month. How does .059c per milligram sound vrs. the .15c you pay in the brick and mortar and other online sources. 1/3 the cost till the end of the month. Credit upgrades and business loans for restaurants and deli stores. Chiropractors and Doctor offices of all kinds. Till the end of April 2019 your business can purchase 15,000 mg in 3 - 5000 mg/1 oz bottles of a full spectrum CBDs an oil of (MCT) which is abbreviation for moderate chain triglycerides in a tincture formulation. Price is $897 includes tax and shipping. Total THC - .23% wt Total CBDs 18.33% wt which includes CBD -18.24% , CBDV - .08% , CBG - .06%, CBC - .25% , CBN - .01% , CBDA - .10% - All by weight of batch. This is the FULL SPECTRUM formulation, not an isolate formulation which would only be ONE type of cannabinoid of CBD. Contact for David directly at 1-858-939-9595 or email: David@GratuiteLavie.com to order for yourself or business. No license required.